Due May 5, “Cover Stories: Brandi Carlile Celebrates 10 Years of The Story – An Album to Benefit War Child” sees an all-star lineup performing tunes from the singer/songwriter’s breakthrough release. Carlile sings backup vocals on the Pearl Jam track featured on the project, which delivers newly-recorded versions of all fourteen songs on “The Story” and includes performances by Adele, Dolly Parton, Indigo Girls, Kris Kristofferson, The Avett Brothers and My Morning Jacket frontman Jim James, among others. A full track listing for the album can be found below. Former US President Barack Obama has written a foreword to “Cover Stories”, which will see all proceeds from the album benefit War Child UK, an organization dedicated to supporting children affected by conflict. Carlile’s nonprofit, the Looking Out Foundation, launched the Story Campaign last year to raise awareness and funds for War Child UK. “This fantastic album will help fund our vital work - from supporting Syrian children to access education, to reintegrating child soldiers in the Central African Republic and working in juvenile justice in Afghanistan,” says War Child UK CEO Rob Williams. Brandi Carlile and The Twins have announced a run of special tour dates to celebrate the release of ‘Cover Stories’ called ‘An Acoustic Evening with Brandi Carlile Performing The Story in Its Entirety and More.’ The nine-date run kicks off April 21 and the vast majority of shows have sold out, including two nights at Nashville’s Ryman Auditorium. Carlile will also play a number of full-band and festival shows throughout the spring and summer. In a last minute change, David Letterman will induct Pearl Jam into the Rock And Roll Hall Of Fame in New York on April 7 after Neil Young was forced to cancel his appearance this week over health issues. "Due to illness, Neil Young is regrettably no longer able to induct Pearl Jam at this Year's Induction Ceremony," said the Rock Hall in a statement on Wednesday. 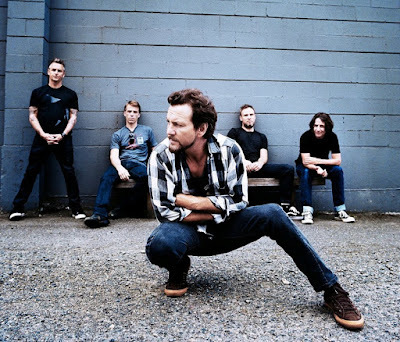 "The Rock and Roll Hall of Fame is thrilled that David Letterman has agreed to induct Pearl Jam this Friday night at the 32nd Annual Induction Ceremony." Pearl Jam will enter the Rock Hall alongside fellow honorees Journey, the Electric Light Orchestra, Yes, Joan Baez and Tupac Shakur.